Under the 2011 changes to the statute, the recording of the notice or short form of the lease must occur before a notice of commencement is recorded. If a contractor has any concerns that its lien would not be permitted, under the revised statute, the contractor may serve written demand on the landlord for a copy of the lease provision which prohibits the liening of the landlord’s interest. If the landlord does not provide the requested provision within thirty days, or if the landlord provides a false or fraudulent copy of the lease provision, it loses the statutory protection so long as the contractor has complied with the statute and has no actual notice that the landlord’s interest was not subject to lien. 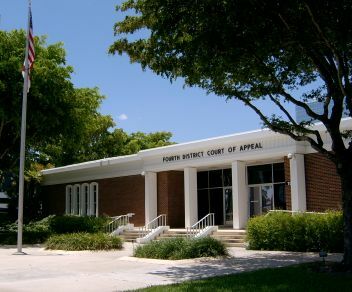 A recent Florida case before the Fourth District Court of Appeal highlights the protection afforded to a landlord who followed the recording requirements prior to the 2011 statutory revisions. In MHB Construction Services, L.L.C. v. RM-NA HB Waterway Shoppes, L.L.C., the landlord had properly recorded a notice prohibiting a lien against its interest. Two years later, the landlord entered into a lease with a tenant, who thereafter contracted for improvements to be made to the leased space. Before the contractor began work, the landlord recorded a notice of commencement. The contractor argued that the recording of the notice of commencement nullified the landlord’s protection under the notice of lien prohibition. The court disagreed, finding that the purpose of the notice of commencement was to provide proper information of record so that the lienor could complete a notice to owner. The court also refuted the contractor’s arguments that a lien could attach to the landlord’s interest because the tenant improvements were required and funded by the landlord. The court noted that not only did the lease not require the improvements, but it required the tenant to obtain the landlord’s consent before any improvements were made. In addition, although the landlord contributed a tenant improvement allowance toward the cost of construction, the allowance was less than ten percent of the entire construction budget and was contingent on the tenant obtaining a final release of lien from the contractor. Given these facts and the recorded notice of lien prohibition, the court determined that the contractor could not lien the landlord’s interest. For the general contractor’s perspective on this decision, click here to read Nicholas Siegfried’s article on the significance of the ruling in our construction law blog. If you own a property against which you recorded a notice of lien prohibition prior to the 2011 statutory revisions, at least one jurisdiction has recognized that you remain protected under the statute. Our real estate and construction lawyers work closely with our clients to enable them to protect their properties against improper liens and claims, and we encourage commercial real estate owners and managers to contact us with any questions regarding the safeguarding of their properties.